In the spirit of giving back during the holiday season, the Wilkes-Barre, Hazleton, and Stroudsburg Offices initiated the Northeast Region Holiday Service Project. 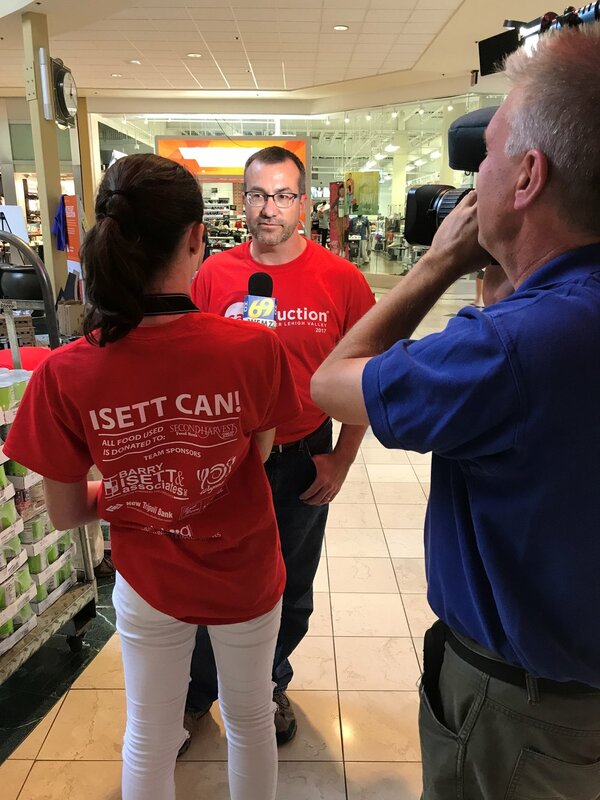 Isett employees voted to donate their time and money to sponsor children through local county agencies. The Children and Youth Agencies of Lackawanna and Luzerne Counties look for individuals, families, or businesses to sponsor children, ranging in age from birth to 21 years old, who are in foster care or receive services from the county's Office of Children and Youth. Sponsors are asked to spend approximately $50-$100 per child to ensure that all children in the family receive an equitable amount of gifts. Coordinated by Stephanie Milewski, the initial goal was to raise enough money to sponsor one child in Lackawanna County and four children in Luzerne County. Through the generosity of donors from the Northeast Region and other Isett offices, enough money was raised to sponsor nine children from five families: two from Lackawanna and seven from Luzerne! With the help of their families, shoppers Tim Sisock, Stephanie Milewski, Tina Merli, Christine Troxell, and Lori Girvan braved the hustle and bustle of local stores to purchase gifts that were on each child's wish list. Everyone had fun picking out books, toys, clothes, and bedding for the children! Back at the offices, employees, especially Scott Grundowski, had fun wrapping and wrapping and wrapping-whew! It was great to give not only money, but also time to such a worthy cause. Just over $730 was raised to purchase gifts and an additional $350 was donated to The Children and Youth Agencies through Isett's Matching Charitable Support Program. Thank you to all who participated! Everyone agreed that the Northeast Region Holiday Service Program should become an annual event. Emma Yeh, EIT, a staff professional in the Municipal Engineering Department, lead Isett volunteers in Let's Build Construction Camp for Girls last week. 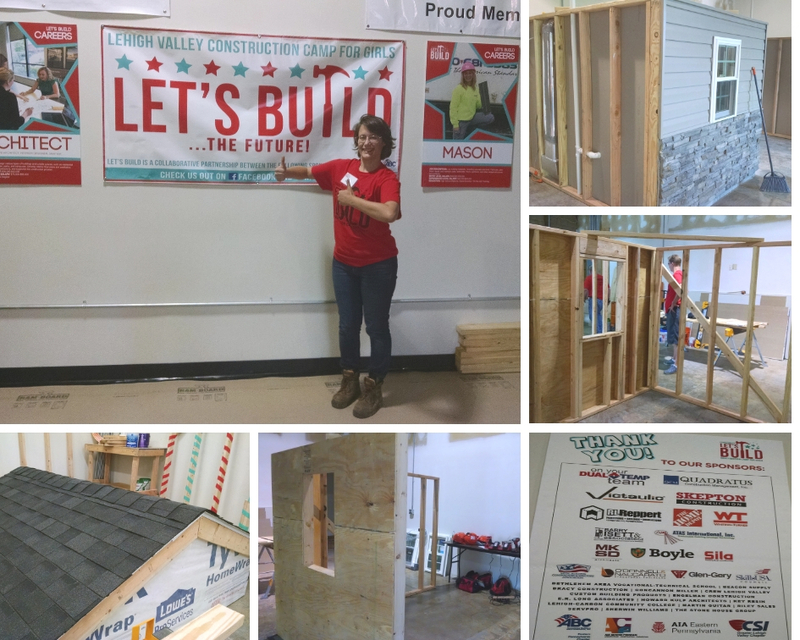 This week long event was organized by ABC, Construction Specifications Institute Greater Lehigh Valley Chapter and Lehigh Valley Architecture, Construction and Engineering. It gives girls between the ages of 14-18 who have an interest in the engineering, construction, architecture and similar fields hands-on training and serves to provide information on these careers as well. Isett was a sponsor of East Coventry's 3rd Annual Rock the Wall 5K and 10K Run. The event-a fundraiser to support the township's parks and recreation-was held this past Saturday. Isett's Paul Schmoll and Karl Leitner were also participants in the 5K race. The guys had great times: they both finished first in their respective age bracket and were among the top 25 overall. Paul even placed 4th overall, finishing at a time of 25:01 minutes! Congratulations to both Paul and Karl! We are excited to share that Isett's own Tracy Torres was able to surpass her goal by raising $542 for March of Dimes March for Babies this year! This event helps save babies from premature birth, the leading cause of newborn death. Every year, half a million babies in the U.S. are born prematurely. And the numbers are on the rise. If we don’t join together to fight premature birth, the problem will continue to get worse. The money raised helps with research for the prevention and care of premature babies. 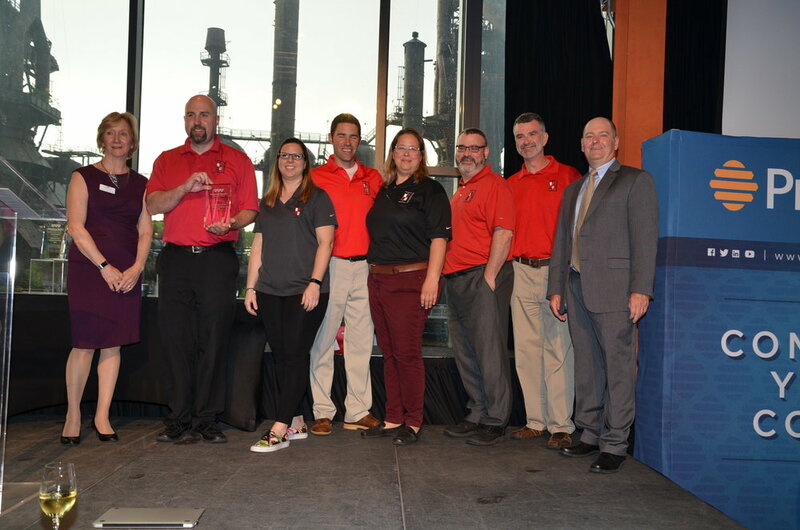 Barry Isett & Associates, Inc. is proud to be a part of the Lehigh Valley CANstruction initiative, organized locally by The American Institute of Architects, Eastern Pennsylvania Chapter (AIA-EPA) and the Construction Specifications Institute, Allentown Chapter (CSI). The food used in these can-structures are donated to the Second Harvest Food Bank of the Lehigh Valley and Northeast Pennsylvania. Team Isett Can! - with the help of our sponsors - used 5,625 cans and 63 bags of rice for their "Comic-CAN" inspired structure. The team, led by John Carson and including Christine Mildner, Tracy Torres, Ben Craig, Josh Liples, Steve Landis, Christine Hower, Emma Yeh, Theresa Muldowney, Bill Leitner and Alexandria Carson, developed and built a can-structure to inspire smashing out hunger: the Incredible Hulk crashes through the wall of hunger with its giant moving fist (yes, moving! ); Iron Man's mask stands guard as Thor's hammer chips away at the wall; and Captain America's shield protects the rear. They even brought light to the eyes of Iron Man! This sculpture, along with those from six other teams, were displayed at the Lehigh Valley Mall. We would like to sincerely thank our sponsors: Wegmans, New Tripoli Bank, Jdog Promotions, East Penn Self Storage, Sundance Transport, Diversified Lighting and Barry Isett & Associates. Without their contributions, none of this would be possible. 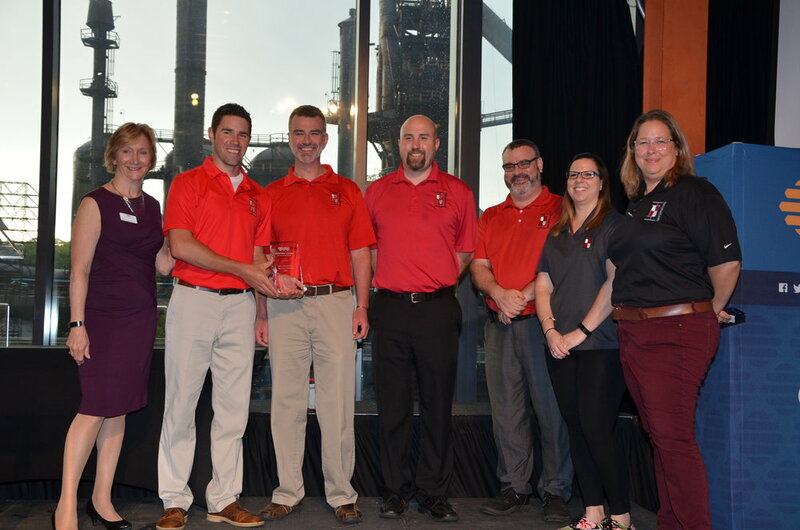 Isett is proud to be a part of the Lehigh Valley CANstruction initiative for the fourth year in a row, organized locally by The American Institute of Architects, Eastern Pennsylvania Chapter (AIA-EPA) and the Construction Specifications Institute, Allentown Chapter (CSI). 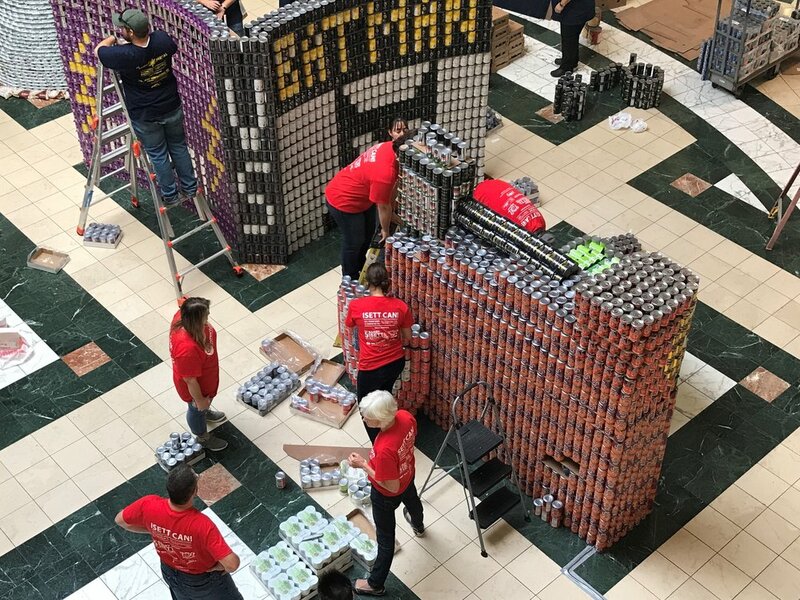 The food used in these can-structures are donated to the Second Harvest Food Bank of the Lehigh Valley and Northeast Pennsylvania. This year’s theme was the “aCANemy Awards” and we chose to go above and beyond with our Moana display. We constructed a giant 6’ tall cresting wave along with a large boat/sail and small waves to replicate a scene from the movie Moana. We were even able to make a portion of our display move and we added lights and music too. Between all 5 teams, we were able to come up with ~29,000 cans of food. 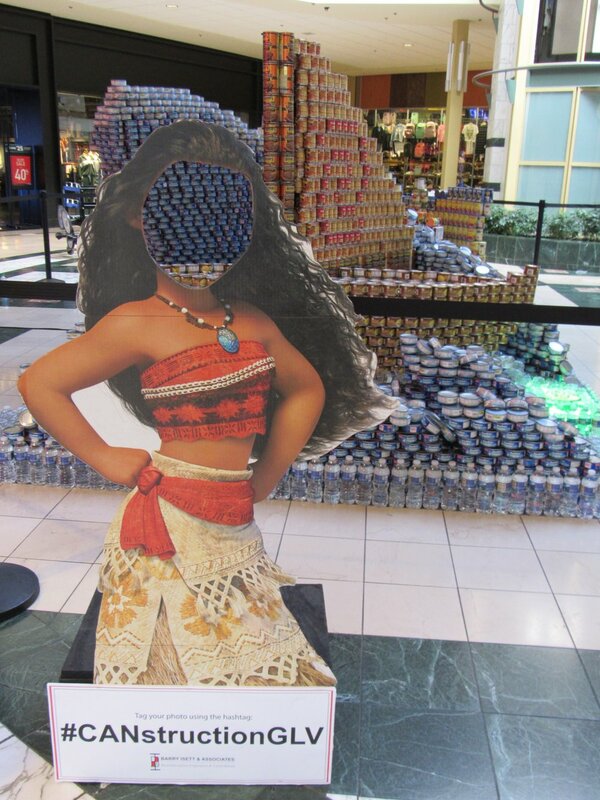 Our Moana display had 8,940 cans alone. Special thanks to our sponsors: East Penn Self Storage - Fogelsville, Wegmans, Prologis, Nestle Waters, New Tripoli Bank and Sundance Transport. Without their generosity none of this would be possible. 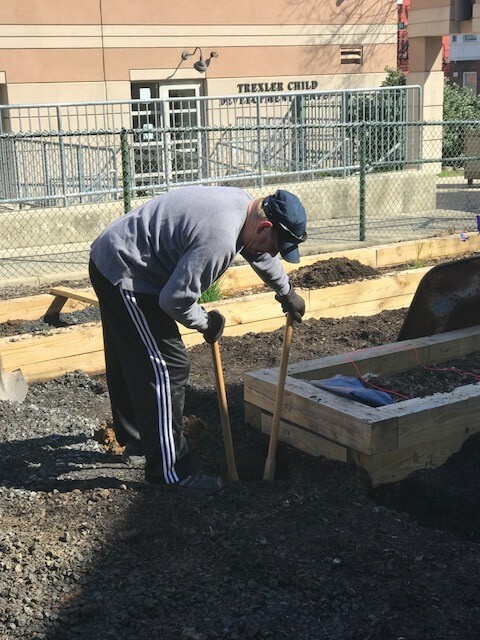 Isett was happy to continue 2017's efforts at the Salvation Army's Hospitality House with an added pergola and new plantings for the community garden. 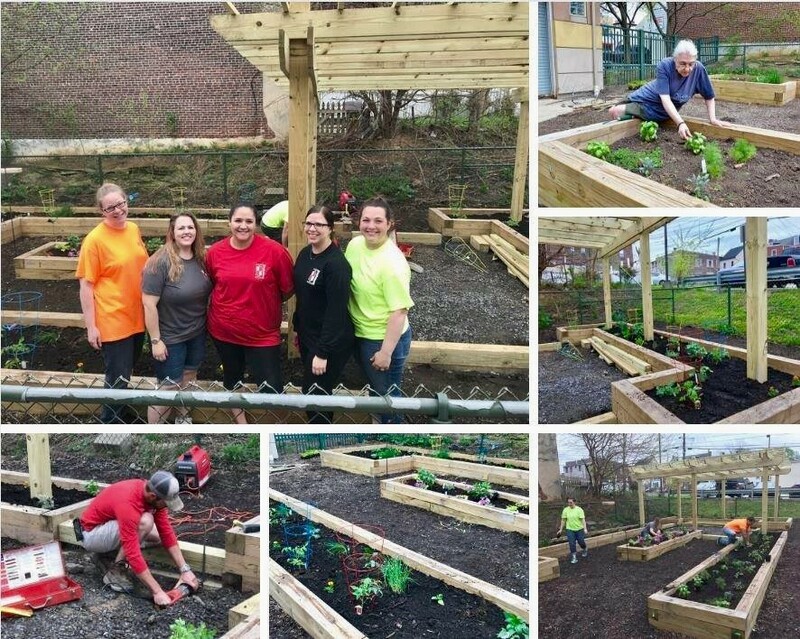 Last year's garden was a huge success and we were excited to continue the next phase of it. 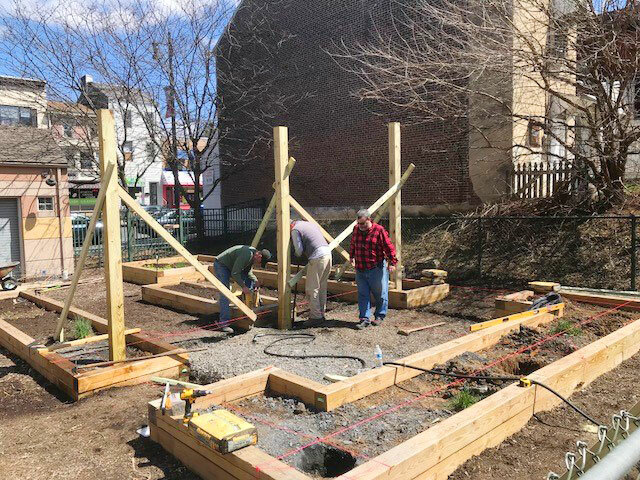 The project—Matthew's Garden—is being dedicated in memory of a child who continues to inspire. A special thanks to Dan Schantz Greenhouse in Allentown and Dries Do-It Center in Macungie for their donations! For those who don't know, Miracle League of The Lehigh Valley hosts an annual Halloween night for children with special needs and their immediate families. Isett's own Besty Faust, Randy Kocher, and Kelly Raines were all part of the fun this year! Isett and other businesses and organizations came together to provide all sorts of games and goodies for the young trick or treaters. It was fun for all involved and a great way to celebrate Halloween. This year at HydroMania—a water education festival geared towards third and fourth graders—Isett demonstrated three examples of stormwater drainage as it passed over (a) impervious pavement and filtered through (b) a lawn and (c) rain garden. The students were able to see the time difference for each scenario and discussed where the water cycles to; the impacts of trash, oils and sediment that gets flushed with the rain and how that can lead to flooding; and ways to prevent pollution from entering the storm system in the first place. Other demonstrations included tapping into an existing waterline and a water relay race that showed how water gets lost as it travels—possibly never reaching our streams, rivers and oceans. 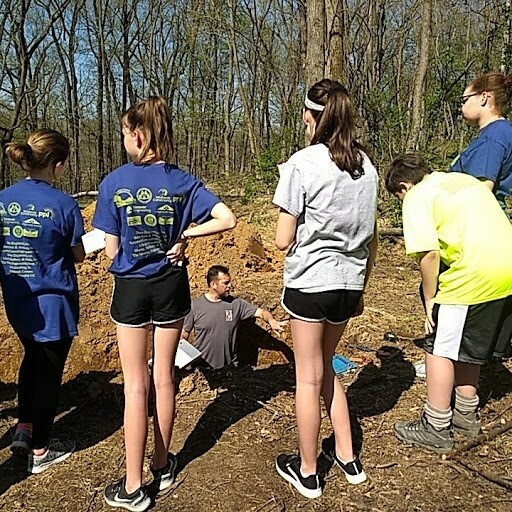 Isett volunteers Phil Schiebel, Keith Valentine and Kim Kyra and got down and dirty with middle and high school students at the Pennsylvania Envirothon this year. 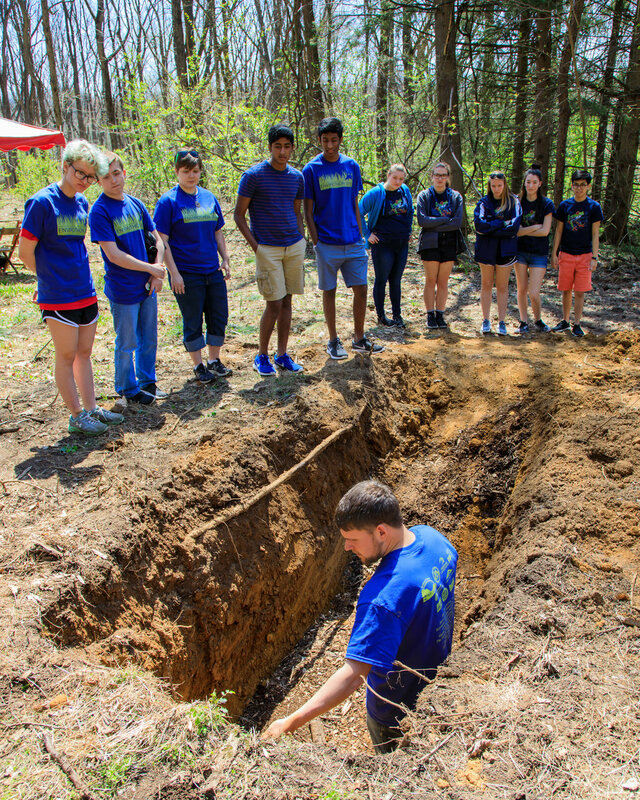 Phil served as a proctor for the high school soils exam and demonstrated how to differentiate and identify soil horizons in a soil pit, as well as identify soil texture by feel. As Kim and Keith manned the soils station, Keith had the opportunity to teach the students about soil composition, the five soil factors that influence how soils are formed and how to differentiate soil horizons. He introduced them to the Soil Survey for gaining basic information and suitability classifications for soils in the area. 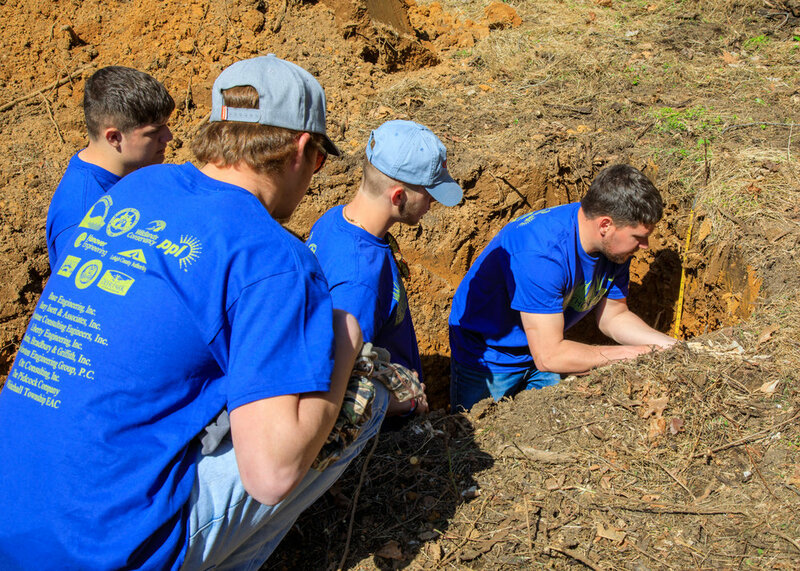 They also discussed practices that can have an negative impact on soils and practices to conserve soil and prevent erosion.